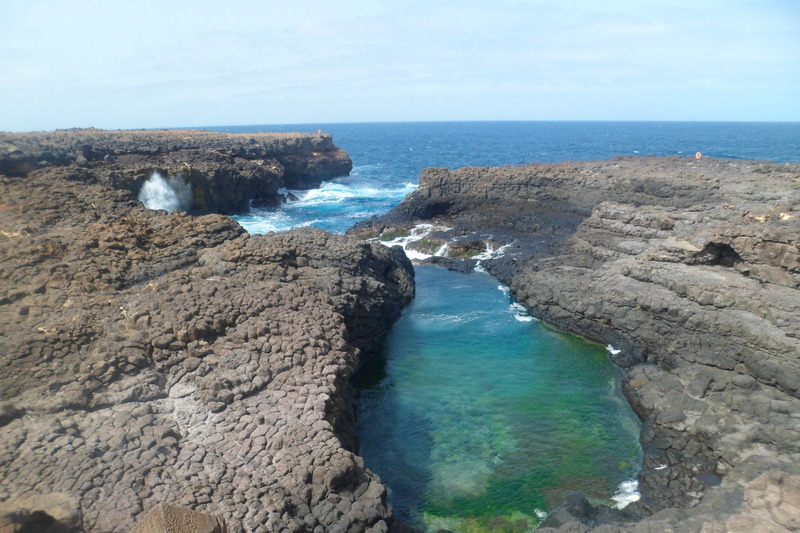 Stop off during an island tour to see Sal’s ‘Blue Eye’ cave/rock opening and lagoon. When sunlight hits the right spot, the whole cave lights up to give a blue glow…didn’t quite happen today. Burracona Blue Eye, Sal Cape Verde. What an interesting place to visit, and such a perfect shade of blue! I like seeing the various artwork on the wall as well…pretty cool to see the various perspectives of the same spot. Love how many pictures you post! Really gives insight to the place.